When folders first came out on iOS I loved 'em. 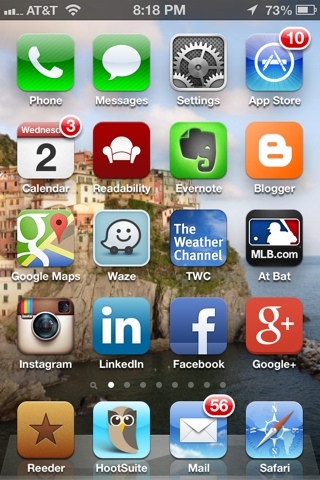 I thought it would help me organize all my apps and bring order to my digital chaos. And to a small extent it did, at first. But I've found the more apps that I shove into folders, the less I use them. And i really only USE a handful of apps on a daily basis anyways. So today I'm blowin' up them folders and unboxing apps! Maybe just by seeing the app icons more readily I'll be spurred into using them more often. It feels so fresh and new already!